It’s word association and I say “Money”. We each have our own relationship with money, which is often framed in childhood. Did we grow up in a household where money flowed freely and our needs and wants were met? Were we raised by parents who struggled to make ends meet? How did our parents talk about money? Did they even talk about money at all? As a financial advisor, I see many clients who are initially gripped by financial fear. Often this sense of dread is unwarranted given their circumstances. I recently had a conversation with a client (I’ll call him “Dave”) whose net worth is several hundred times the average American’s annual income. Dave grew up as a poor kid from Brooklyn in a household constantly worried about running out of cash. Notwithstanding his current wealth and ongoing earnings power, Dave was overly concerned about his ability to pay for his kids’ college educations. I prepared models which made clear that he could maintain his current lifestyle and still be confident that he would have more than enough to pay for his children’s college expenses. While he felt better, his upbringing continues to color his view of money. I spoke to Dave’s wife, Emily, several days later, and she told me about an upcoming scuba diving trip she was taking with their daughters. I asked Emily if Dave was joining them. She laughed and replied “of course not” and went on to tell me that Dave “showered with his life jacket on” and would never be up for such an adventure. This stark difference in their hobbies was mirrored in their views about money. While Emily was ready to dive in and have confidence that their substantial investment portfolio would grow and sustain them over time, Dave stood still in his “life jacket,” on the lookout for anything that could go wrong. While some people, like Dave and Emily, recognize their differing attitudes towards money and spending, many couples do not engage in discussions about their finances. Sometimes, one partner is left in the dark with respect to the other’s views and the couple’s financial situation, which can be devastating if something happens to the partner managing the finances. I recently met with a woman whose husband had just passed away. Theirs had been a so-called traditional marriage. The husband assumed responsibility for earning and managing their money. She raised their child and ran the household. She did not have a clue as to his net worth (which was quite high) or the way he managed the family’s considerable assets. Suddenly she faced a daunting, uphill battle to quickly learn about her husband’s business, investments, and their family’s finances. Had she and her husband engaged in an ongoing financial dialog while he was alive, she would have at least understood the basics of her situation and known enough to ask the right questions of her tax, legal and investment advisors. Finances are often the greatest source of conflict in a marriage. But having different backgrounds and approaches to money can be a positive. After all, opposites often attract, and you can learn valuable lessons from one another. 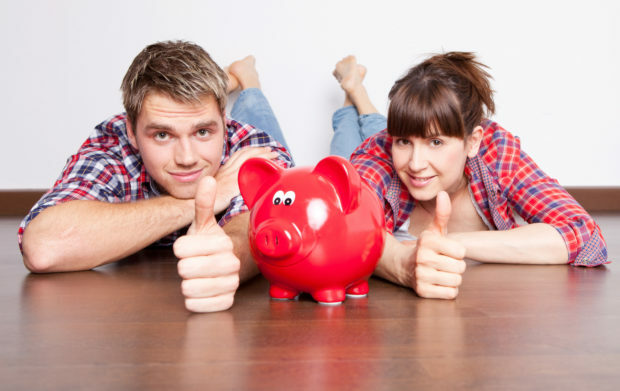 If you tend to be free-spending, it may help to have a partner who is more conservative with money. Likewise, someone who is more conservative with money may benefit from a partner who is more comfortable spending on things that improve their quality of life. The important thing is to understand each other’s differences and actively work together to achieve your financial goals.. I have been known to include David Bach’s Smart Couples Finish Rich with my gift to newlywed friends. While there is nothing magical about this book, it does encourage couples to get the conversation started and discuss the role money played in their upbringing, their own financial views and goals, and how they can work together to achieve these goals. Once children are in the mix and there are big financial decisions to be made – about paying for a nanny/daycare, saving for college, ensuring adequate retirement funds, etc. – it is more important than ever to communicate. Understanding what drives your partner and what pushes his or her buttons can lead to a better and more harmonious relationship. Similarly, understanding one another’s financial upbringing, relationship with money and its effect on financial decision making benefits both parties. Disclaimer: Some names and details have been edited to protect the privacy of the people.